Mirror wall. 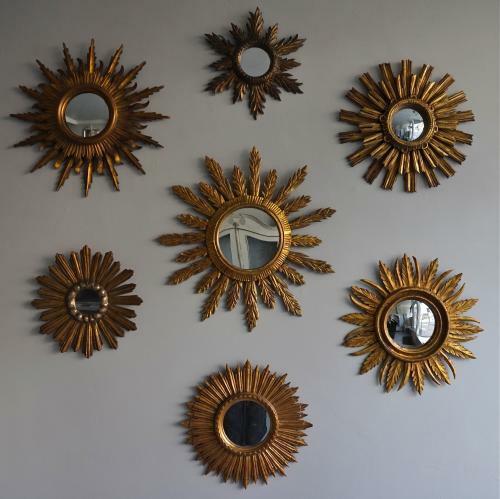 A magnificent collection of vintage 20th century French & Spanish carved wood and gilded sunburst mirrors. Dating from the 1930's to the 1960's two have double rows of sunbursts, two have convex mirror glass. Instant Impact!